Diekroeger Bros. Park is the oldest park in Warren County and is located on the original county fairgrounds. This seven-acre park is located off of the West South Service Road between Exit 199 and Exit 200 of Interstate 70. Diekroeger Bros. Park is the site of “Concerts in the Park”, Farmers Market, Spring and Fall Flea Markets, and the Annual Strassenbash. The park has a large pavilion with electric, restrooms, playground and plenty of shady picnic areas. It is also home to our Wil Heiliger Activity Building, where the Parks Department Office and the Wright City Chamber of Commerce are located. The Activity Building is available to rent for special occasions and meetings. Special classes are held throughout the year in the Activity Building. A complete list of current classes is available on the Parks Department Page. Corwin S. Ruge Memorial Park was developed through a grant from the Department of Natural Resources – Land & Water Conservation Fund and generous donations of time, labor, and money by the Wright City Community. Ruge Park is located in the southern part of the city at 501 South Elm Street. Ruge Park is the site of the Wright City baseball, softball, and T-ball programs, a Jack & Jill Summer Softball League and other activities. The park has lighted fields, basketball court, restrooms, pavilion, walking trail, playground and picnic areas. To reserve any of our park facilities, you can contact the Park department office or City Hall. Also, please print and review the Park Usage Guidelines for other information concerning the care and use of Wright City parks. Click here for an application to be a vendor at a Flea Market, and you will also need to fill out a Program Participation Use Agreement. 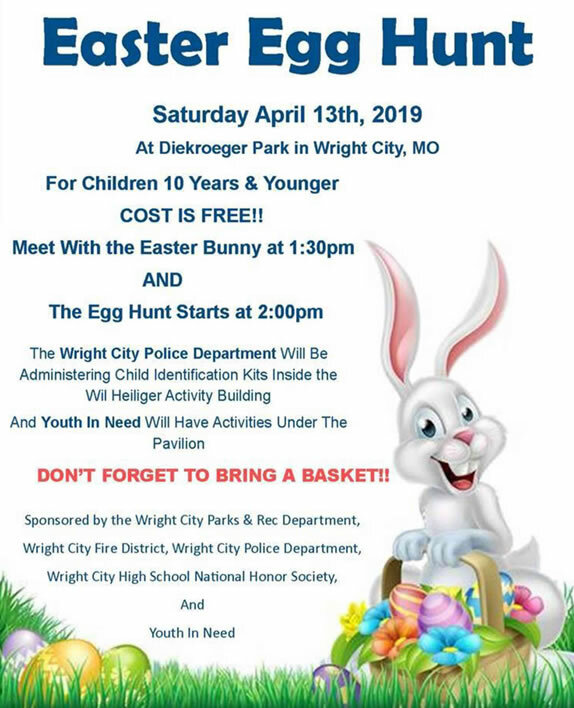 If you have any questions, please contact the Wright City Park Department office at 636-745-2804; by email at parks@wrightcity.org or City Hall at 636-745-3101. “Like” us on Facebook at Wright City Parks and Recreation. The Park Board meets at Wil Heiliger Activity Building in Diekroeger Park, 13410 Veterans Memorial Parkway on the second Tuesday of the month. The public is invited and welcome to attend any and all meetings.